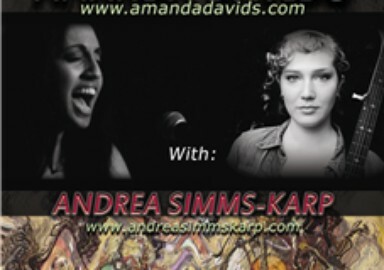 Amanda Davids will perform at The Mansion on Thursday, April 25 at 10 PM with special guest Chris Morris. Enter the musical realm of Amanda Davids (pictured), where musical boundaries are overthrown and myriad genres are assimilated into one coherent sound, Urban Funk. Taking inspiration from the fusion Jazz, Funk and Hip Hop of innovators before her, such as Herbie Hancock, Soulive, Medeski Martin &amp; Wood and The Roots, Davids has created her own unique musical vision. 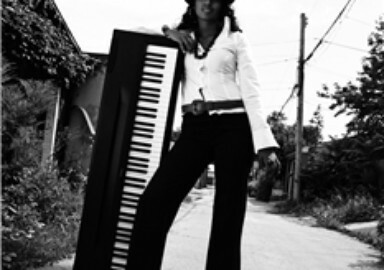 Armed with her Piano, Hammond Organ and a raging Soulful voice, Amanda Davids and her team of musical specialists ignite a stage with untamed Funk, rooted in improvisation and Urban beats. Chris Morris is a folk singer based in Kingston, Ontario. His music and high-energy performances encompass folk and other traditional genres from the Delta to Dylan, the plantations to the Appalachians, the Mississippi to the Great Lakes. V-Mix takes a look at different genres of alternative music from electronica and dance with the legend Moby to urban funk with songstress Amanda Davids and the self described 'endearingly awkward' music of Alligator Baby! Canadian songstress Amanda Davids will hit the stage for Canadian Music Week 2013 for the first time in her career and she couldn’t be more excited. Davids debut concert will consist of a 40 minute set with eight songs at the Courthouse at 27 Adelaide St. W. March 20 at 7 p.m. According to Davids, she’s been working on her sound during the winter and hopes to bring something “fresh to the festival,” which includes a couple of new songs, one of which is titled The Villain. 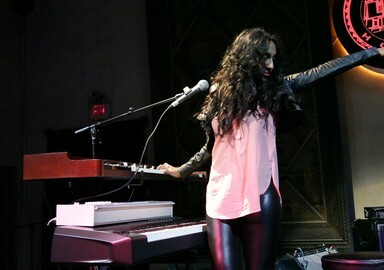 Davids is known for her unique sound, created through playing the Hammond organ, the piano and singing with her band member and co-producer Dan “Shai” Mendelsohn, who plays the eight string guitar. The release of Davids first album Distinguishable inDifference, a five-track groove session, has Davids signature sound stamped all over it; a fusion of jazz, soul, blues and funk. “I sum it up as urban funk,” Davids said. Her mélange of sounds gets her the unlikeliest of comparisons from time to time. She’s gotten everything from the ’70s progressive rock-group Emerson, Lake & Palmer to the urban soul of Joss Stone, and even neo-soul sound of The Roots on occasion. The album, released last year and is now available on iTunes, has taken her on a U.K. 2012 tour for 12 days, the 2012 NXNE Festival and the Toronto Blues Society Showcase. And 2013 looks just as promising with her touring to the north eastern parts of the United States, before she graces the stage at Canadian Music Week 2013. Davids will be joining more than 1,000 artists from all over the world on 60 stages across Toronto over six days beginning March 19. The festival begins with international sensation Rihanna headlining the event at the Air Canada Centre. Now in its 31st year, Canadian Music Week is seen as a spring board for artists to launch into the next phase of their career. Artists like Feist and Broken Social Scene have both graced the stages in years past and have gone on to be commercially successful. But for Davids performing at the festival is just one aspect she’s looking forward to. 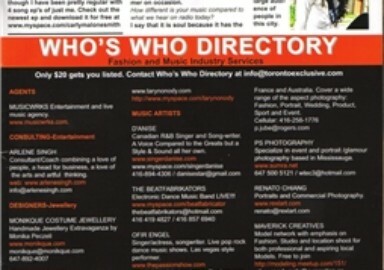 The other is all the conferences and networking that goes on when artists aren’t performing. “It’s a great opportunity to network and learn more about your craft and get new and fresh ideas,” Davids said. But it won’t be all work and no play for Davids. She plans to catch as many shows as she can that week, including The Jessica Stuart Few and Mamabolo from Toronto and Yuichiro Tokuda’s RALYZZDIG from Japan. When Davids isn’t planning out her next career move, she’s busy nurturing the voice and sounds of others through musical education. 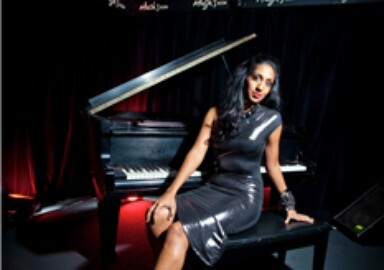 She currently teaches piano, vocal and song-writing classes out of her home in the Keele Street and Rogers Road area. She has students ranging from children to adults, but the majority of them are teens looking to find their signature voice much like Davids has. “The type of lessons I offer are more of developing yourself as a musician,” said Davids, which is something she did while attending the University of Toronto and it helped push her to pursue a career in music. “You see a whole spectrum of people and perspective careers. It just opens you up to new avenues and ideas of what you can do with your life,” Davids said. 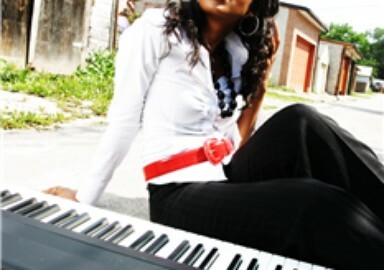 She was enrolled in the psychology program at U of T.
I am an Urban Funk musician. My music fuses jazz, soul, blues, funk and hip hop into one coherent sound described as, Urban Funk. I come armed with a keyboard (Piano, Rhodes, Clavinet and sometimes Wurlitzer), a Hammond organ and a voice. You can find me on stage solo at times but mostly with one or more of my musical accomplices which include an 8 string guitarist, a drummer and on occasion a turntablist. How did you get started in the music scene? I have been a musician for as long as I can remember. Beginning on the piano at the age of 3, music has always been a natural path for me. In university I began writing music and recorded my first three song demo the year I graduated. From then my musical journey has been anything but straightforward, but I’ve discovered myself and my sound through the many twists and turns. My music is a fusion of distinct styles and therefore I take inspiration from a variety of sources. Legendary fusion artists such as Herbie Hancock, Medeski Martin & Wood, The Roots, Esperanza Spalding and Soulive are always sources from which I draw. For each instrument I perform there are people from whom I take influence. From Ella Fitzgerald, Aretha Franklin or Lauren Hill for my voice to Oscar Peterson, Herbie Hancock or Keith Emerson on the keyboards, to Tony Monaco, John Lord or Lonnie Smith on the organ….the list could go on forever. Of course there is James Brown and Bootsie for the Funk. What’s your method at the time of writing a song? Songwriting for me occurs when it occurs. A song can start from a verse I write to describe a situation I just experienced or from a random melody I blurt out. Sometimes they can start from an emotion I am trying to make sense of. There are occasions when my producer Shai Locke plays me the latest wicked beat he came up with. I am a big movie fan and I suppose my method of songwriting is similar to the use of music in a film. I use it to express the various experiences and ideas that I journey through. Distinguishable In Difference. How was the recording and writing process? How you came out with the album’s title? Any release date yet in mind? So you are planning to hit the road? 2012 was a whirlwind year for my team and I. We toured the UK in the spring performing in 8 different cities, played a range of festivals over the summer from indie to jazz and extensively toured Eastern Ontario and Quebec in the fall. I decided to take a breather to start 2013 and record live versions of some of my songs over the winter, which we will be doing in February. We will hit the road again starting in March with a 12 city North Eastern US tour planned for the spring as well as a 6 city acoustic tour. How was it to work with Jazzie B? The UK was such a pivotal experience in my career and this particular show opening for legendary soul producer Jazzie B at The Hootanany in Brixton was one of the reasons. It was a sold out night with other great London artists on the bill such as United Vibrations and Future Grooves. There is a great tradition of soul music in the UK and it was inspiring to share a stage with one of the great producers in the history of the music. How it has been to work with Tony Monaco? Tony is a mentor and an enthusiastic teacher. I had actually been a fan of his for several years before becoming a student. In fact it was an interview of his on the jazz station that really got me into playing the Hammond organ. I had the opportunity to meet him at a show he was doing in Toronto and was ecstatic when he gave me some pointers over a drink and told me he would love to have me as a student. With my hectic touring and recording schedule it is often difficult to connect with him for lessons, but I manage to set up an online session with him every so often to absorb some of his organ wisdom. What’s the message you want to spread with your music? The night was abuzz with speculation. What kind of song will this release be. 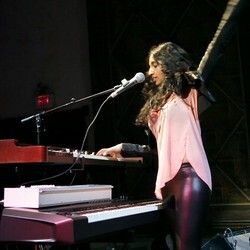 Amanda Davids has a reputation for fusing funk, soul, hip-hop and RnB with classical music, latin jazz and hints of bebop. Will it be soulful? Will it be funky? Will it have the prodigious grand piano we typically hear from her, or will it have hints of the Hammond B-3 she has absorbed from her teacher, jazz great, Tony Monaco. The decor at Dazzling on King street was abuzz just the same with it's pastel cream friezes alight with ethereal but ebulliant colours emanating from stealthily stowed colourful LED lights. I spoke to the promoter of the night, entitled "Sake and Soul", an energetic guy named "Ace" who exclaimed "this will be good, every single table has been booked." The house band played on. "Sake and Soul", a reference to the 70's soul covers typically twisted by the house band into a modern pallette of mash-ups while patrons dine from a menu of pan-asian fusion dishes has been an ongoing fixture of Toronto's King street scene for over a year now. Around 11:30 Amanda took the stage with the power and poise of Aretha reincarnated. Visually captivating in her shimmering Gold dress, she evocatively belted out covers segueing from the bands 70's repertoire into her own song release. The band powered through with a unique arrangment of James Brown's "I got Soul", befitting the night perfectly. Next was a spectacular upbeat version of the Peggy Lee classic, "Fever" played with a counterpunctal syncopated bassline and sawtooth wave synthesizer leads. And then, Amanda Davids officially unleashed her new single. It was poignantly funky. It started with turntables. Then came the guitar - a riff i couldn't stop singing for the rest of the night. The unique take on a typical blues call and response peppered with some of the slickest organ lines i have heard in many years, coupled with the sheer magnitude of the big breakbeat drums underscored Amanda Davids' powerful voice perfectly. Then came the organ solo. The sound itself, was warm but gritty, the playing, malevolent but refined - clearly the culmination of many years of listening to the masters, and even studying with one. All i can say is that i highly reccomend buying a copy. Use it for your alarm clock and your cell phone ringtone, because it will get your attention. As far as independent music goes, I’m struggling a little bit to identify with why people think being signed to a small label makes them independent. By definition, being signed to any label means you are no longer independent, you are signed to a label. I suppose it’s semantics at play. Some will make the debatethat being signed to any label, big or small, you are still pretty well on your own to make it – unless you are a top-tier artist that these labels place a large budget and team behind. I try very hard to find truly self-supporting artists making truly unique music in order to fill up my mp3 player. Now seeing that I hail from Canada originally, I am always surprised to find that some of the best music I uncover, from some of the hardest working artists tends to bring me right back to my Canadian roots. The irony is that I never meet these artists in Canada. I always seem to find them playing in New York, LA, London or Paris. I suppose hard work in the field involves traveling, which must get pricey when you are truly an independent artist. 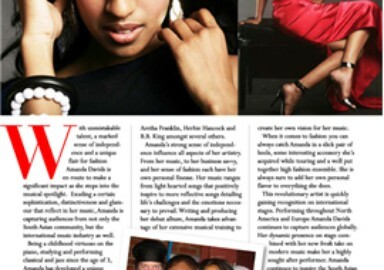 One such artist is Canadian Soul Singer, Amanda Davids (www.amandadavids.com). She can always be seen performing with her accomplices, Shai Locke on midi guitar and DJ Xplisit on turntables and beatboxing. Amanda’s voice is Compelling and full of soul – and she plays her own keys (elaborate lines at that). I asked her after the show, and she mentioned that she plays all the keys on her upcoming album and all of her past recordings – ranging from grand piano to clavinet to a Hammond A-100 she keeps in her living room which dates back to the ’60s. This would be expected after seeing her perform, but surprisingly isn’t as common as one would think with modern production. I previewed her new album with the promo song entitled “Naughty Boy” on her myspace site – www.myspace.com/amandadavidsmusic and it is every bit as funky and original as I would have expected. It sort of reminded me of En Vogue meets Charlie Hunter and DJ Logic. Studying music since age three, Amanda Davids doesn't remember a time when sounds and instruments weren't part of her life. "My dad is a pianist and I started out on piano," said the York resident. "I went to (Cardinal Carter Academy for the Arts) and played the alto saxophone, then got into jazz vocals in my teen years, and jazz piano. It just blossomed into a career. After I graduated high school I took sciences in university, but it didn't make any sense. I started to take formal vocal lessons when I decided I wanted to do this as a career." Davids, who has a studio in her home and teaches piano and singing, has spent the past two years putting together a five-song album EP, which is scheduled for release in February. As a lead-up for the yet untitled album's debut, Davids will release the first single, Naughty Boy, Thursday, Nov. 24 at Dazzling Lounge, 291 King St.
"The album started off kind of poppy," Davids said of the sound. "It then turned into an urban/jazz/funk hybrid. It's an internal view of myself. Naughty Boy is a fun song, the type most people can relate to. It's nothing too heavy. Each song has its own life, some are good fun, some are easy listening." An accomplished artist, Davids has performed in Canada and the United States, notably at the 2010 Oakville Jazz Festival, Yonge and Dundas Square for RBC DesiFest, and the September 11 memorial concert in New York City in 2010. 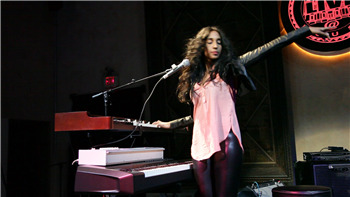 Davids, who performed all vocal and keyboard work for the album, along with composing and co-producing each song, said she draws inspiration from artists such as Herby Hancock, The Roots, Ella Fitzgerald and Etta James. She has also been working with organist Tony Monaco for the past six months. "I'm very happy with how the album turned out," she said. "It was a discovery process as well as a recording process. I was heading in one direction, then realized it wasn't what I wanted it to be, then had to take a step back." What uniqueness do you provide an audience with? I like to think that on stage I provide my audiences with a unique experience that comes from the combination of my vocal and keyboard abilities. I do a lot of improvisation with both. 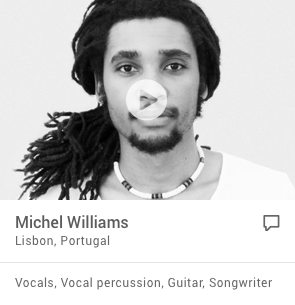 As well I like to have unusual instrumental backings, such as having a beat boxer rather than a drummer on occasion. How different is your music compared to what we hear on radio today? I say that it is soul becuase it has the groove and passion found in soul, but also has the lightness and bounce of pop, the heavy driving beat of hip hop and large piano chords characteristic of classical or jazz. Is Toronto the ideal market? Enter the musical realm of Amanda Davids, where sonic boundaries are overthrown and myriad genres assimilated into one sound, Funk Rock. With a new “hold nothing back” sound, Amanda Davids presents her gritty fusion to the world. Taking inspiration from revolutionary innovators before her, such as Muse, Massive Attack, Parliament, Prince, The Roots, Herbie Hanckock, and Pink Floyd, Davids has created her own unique musical vision. Armed with her Piano, Hammond Organ and a raging Soulful voice, Amanda Davids ignites a stage with evocative songwriting and untamed Funk, rooted in Prog Rock, improvisation and Urban beats. Her whirlwind 2014 tour schedule included performances in the 2014 Northern Lights Oktoberfest in Sudbury and over 25 stops in different cities across North America. Since releasing her debut EP in 2012 “Distinguishable inDifference”, Amanda Davids has been amassing fans worldwide. Touring the UK after the launch, and then returning home to perform in the, 2012 NXNE Festival, 2012 Oakville Jazz Festival, 2012 Sudbury Jazz Festival, followed by the 2013 Canadian Music Week, Sault Ste Marie’s 2013 Downtown Queen Street Festival and initial North American tours, Amanda Davids’ distinctive vision has emerged as a musical force to be reckoned with. With emphasis on improvisation and unusual arrangements Amanda Davids’ Funk Rock has evolved into a musical form like no other. Davids’ diverse performance background ranging from small acoustic stages to large outdoor festivals enables her to deliver a performance for any stage. Davids’ high energy Funk Rock audiences should expect to see her full rig as she performs on two keyboards (Hammond XK3-C and Korg SV-1) with her band FunkRiders; 8string guitarist, MPC Player and drummer. Her spine tingling vocals carry over the tight arrangements, dynamic instrument lines and digging urban beats. In more intimate and laid back settings you can find her solo with just keyboard and vocals or with any combination of her accompanying instrumentalists. Equally as enticing, her easy going sets have an Acid Jazz flavor. Since the release of "Distinguishable in Difference" in 2012, the tough roads of a tightly packed touring schedule and the relentless pursuit of an independent artist has added a hard edge to Davids’ style. While maintaining her dedication to the evolution of popular music, Davids prepares her fans for her upcoming releases in 2015. With a heavier Electro production flavor, biting vocals, banging hip hop drums and organ distortion to incite the most elusive of emotions, Amanda Davids’ multi-layered musical fusion will be a fierce new addition to the music industry.